The Super Bowl is set. The New England Patriots will play the Seattle Seahawks in Super Bowl XLIX in Glendale, Arizona at University of Phoenix Stadium on February 1, 2015. The line has made a dramatic move already on the game. On Sunday night, Bovada and sportsbook.com had Seattle as the short favorite at -2.5. The line never increased and was quickly bet down to New England -1. The point total was opened on topbet and betonline at 48.5 and has remained steady at that figure. The Pats then routed the Indianapolis Colts by 38 points, 45-7. New England was the favorite in that game by 7 points as well. As 13.5-point favorites, Seattle defeated the Carolina Panthers in the NFC Divisional playoffs 31-17. 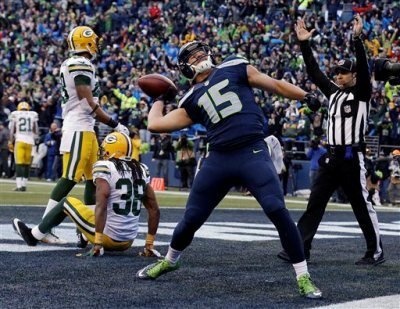 The Seahawks rallied on Sunday to overcome a 16-0 deficit to defeat Green Bay 28-22 as an 8.5-point favorite. New England will be appearing in its eighth Super Bowl. In the Pats previous seven, the club is 3-4 SU and 3-3-1 ATS. Each of the three wins for New England was by three points. In the seven prior Super Bowls the UNDER was 4-3. Prior to this Super Bowl, Seattle had played in two. The Seahawks are 1-1 SU as well as ATS. The over/under was also 1-1. Since 2008, the Patriots and Seahawks have played head to head just twice. In 2008, New England beat Seattle 24-21 in Seattle as a 7.5-point favorite. The OVER in that game was 43. In 2012, Seattle defeated New England 24-23 in New England as an underdog of 4 points. The OVER in that game was 42.5. For the 2014 NFL season, the Patriots are 14-4 SU and 10-8 ATS. Seattle is 14-4 SU and 11-7 ATS. The OVER/UNDER for New England was 11-7 and for the Seahawks 10-8. The underdogs have covered the spread in 6 of the past 7 Super Bowls. That includes outright wins in each of the past three Super Bowls by Seattle, Baltimore and the New York Giants. Since the 2002 season, the underdogs are 10-3 ATS in the Super Bowl. Over the past 4 Super Bowls played, the OVER is 3-1. This is the third Super Bowl to be played in Arizona. The game is 13 days away. Coaches and players will be preparing for the game, as will the bookmakers. Last year, Super Bowl XLVIII took in the largest single handle for a Super Bowl in Las Vegas with over $119.4 million wagered.